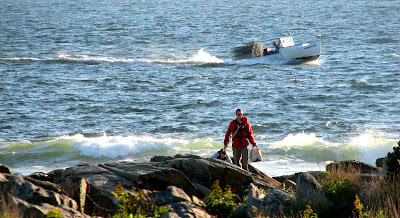 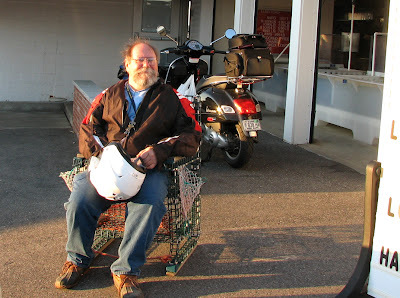 Scooter by the Sea: What's for Dinner? Without question, her favorite meal is lobster. Kathy loves lobster. 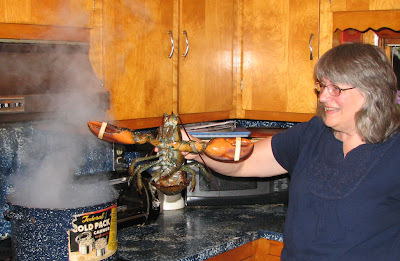 I can't stand the sight of the hideous bug-like creatures. Nevertheless, on occasion, I do my part, which is to procure said beastie. 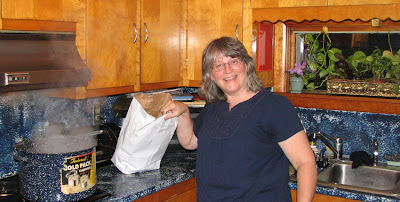 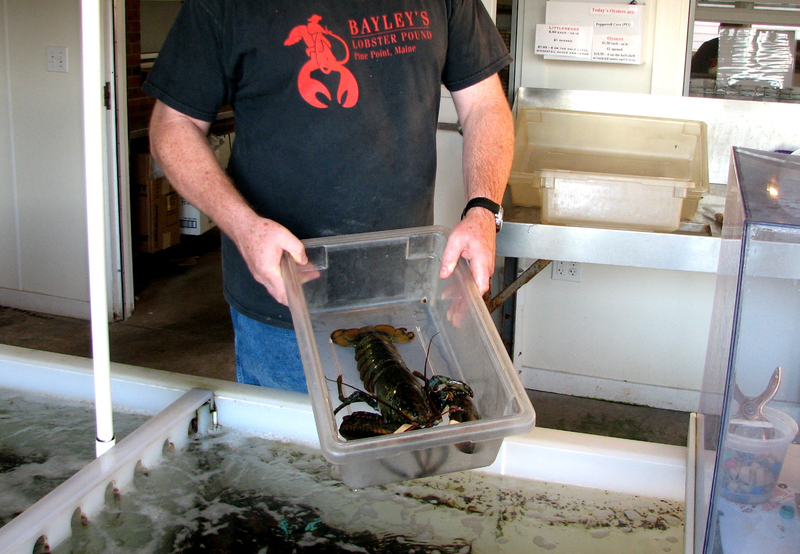 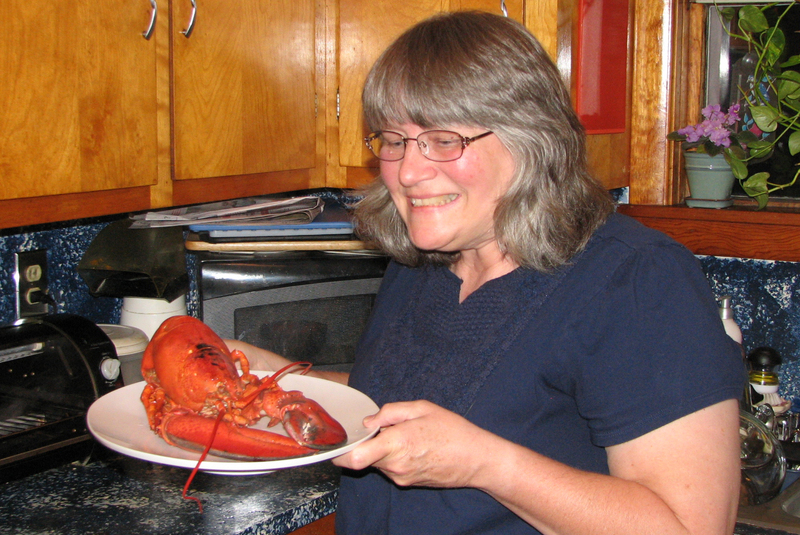 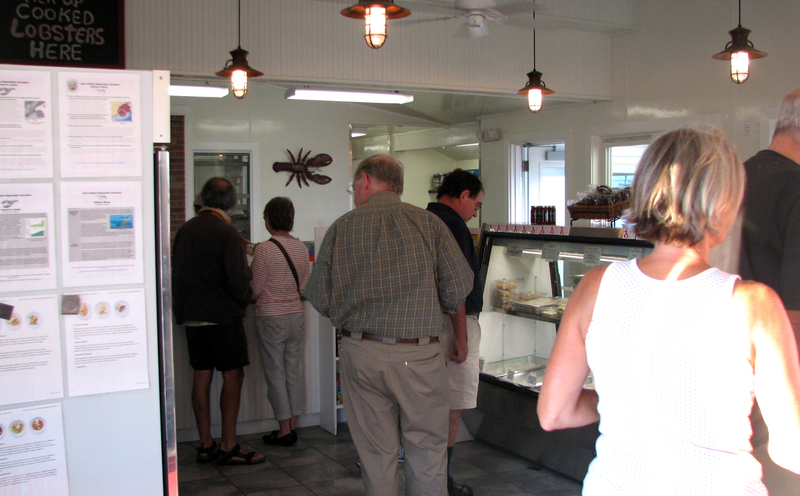 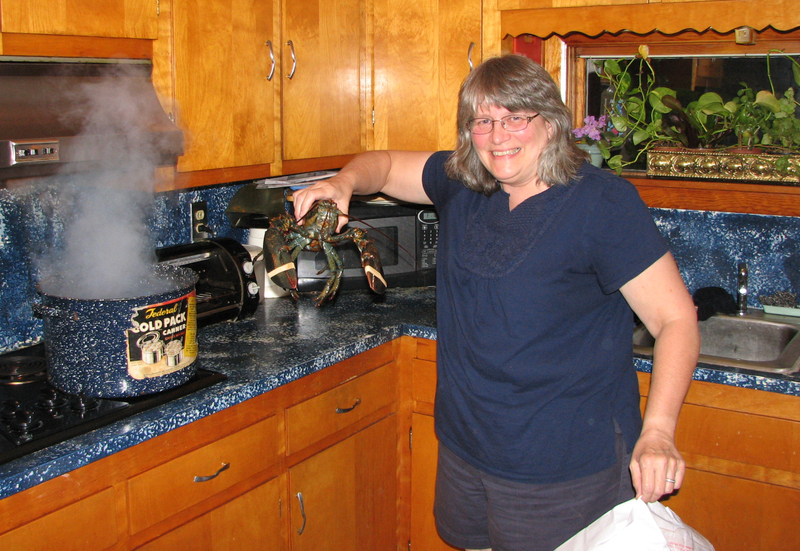 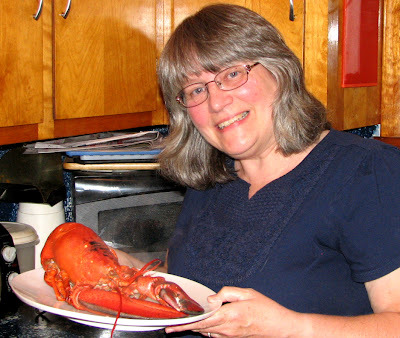 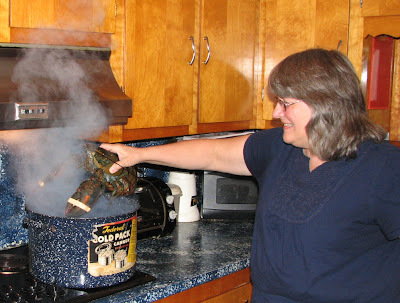 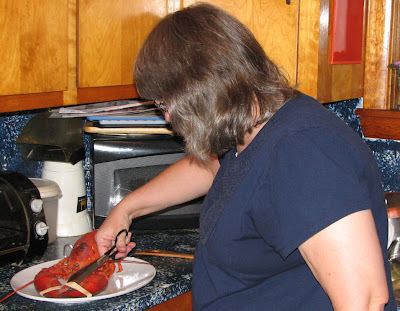 Kathy has eaten lobsters at many restaurants, cooked lobsters bought from many sources. 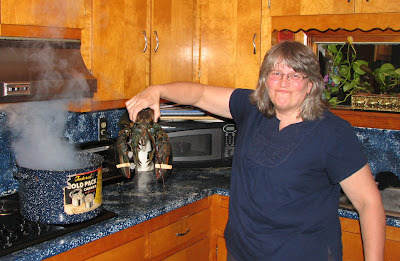 She says that Bayley's lobsters are the best.